Thank you apple. You successfully added an additional device that needs to be charged daily. 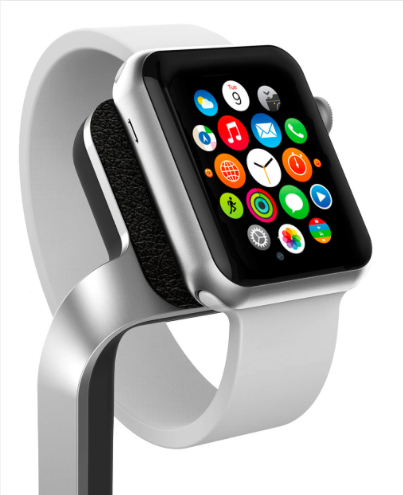 Yes, along with almost 2.3 million other consumers I pre ordered the new Apple Watch. Sometimes I'm a sucka. Don't judge me. If you are reading this post you probably did also. Most of you true apple fanatics probably remember the white plastic dock that came with the original iPhone. 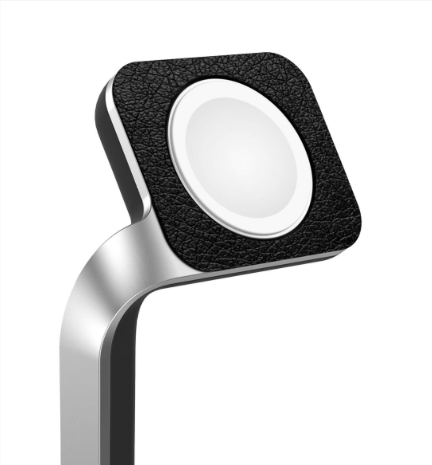 Unfortunately, we are not granted the luxury of receiving such a dock that elegantly charges and showcases our Apple device out of the box. If you are anything like me, I know you really don't look forward to fishing for cables underbeds and behind desks. Thanks to Mophie we don't have to worry. 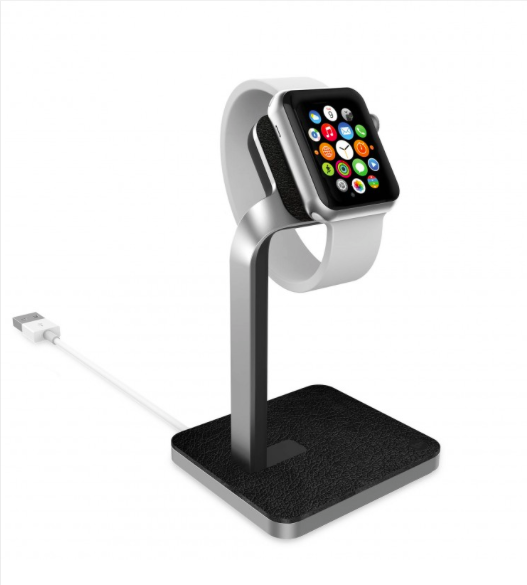 Shipping in the US in early May you can pre-order The elegant Mophie Watch Dock Made for Apple Watch for $60. 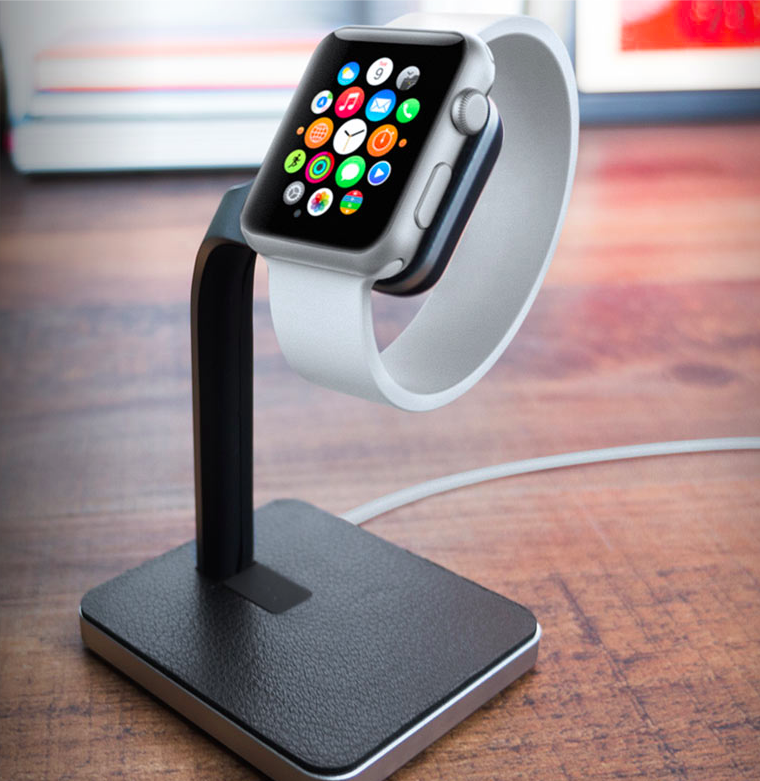 This dock compliments the Apple Watch and is constructed of aluminum with leather accents. Operation of this dock seems pretty simple and it should help manage cable clutter. Available Now!